Performance Mobility will be in attendance at the 2016 Colorado Garden & Home Show. Stop by the booth to meet the team and learn more about the services and products available at Performance Mobility. Discover the Rocky Mountain region’s longest running and impressive garden and home show where you can visit over 1,400 booths and 700 companies. Attendees also get to see the most incredible gardens and home improvement experts that attend this amazing show. The Colorado Garden & Home Show, at the Colorado Convention Center - 700 14th St. Denver CO, is an exciting event that Performance Mobility has enjoyed participating in past years. Garden enthusiasts and flock to the yearly garden show presented by the Colorado Garden & Home Show. Those who attend the nine-day event have the opportunity to view an acre of exquisitely landscape gardens, learn the latest landscaping ideas, talk to professional home improvement and landscaping experts, attend educational seminars, landscaping demonstrations, showcase exhibits, and much more. New exhibits are introduced every year. This year’s theme is “Metamorphosis” which is going to be spectacular in the displays of floral arrangements and gardens. Don’t miss the theater sessions and the 9 News Hot Products Zone! Performance Mobility representatives will be located at new booth space by the main entrance to show off the brand new wheelchair accessible SUV. The Performance Mobility staff will be at booth 907 featuring the brand new 2015 Ford Explorer MXV by BraunAbility with an in-floor ramp conversion. This innovative new design is very exciting! The team can’t wait to demonstrate the new wheelchair accessible SUV by BraunAbility. The Performance Mobility team will be there every day so come down to the Colorado Convention Center so that we can show the MXV and give you one of our new Performance Mobility brochures. Along with a chance to meet the staff and see the amazing wheelchair accessible vehicle, the proceeds raised from the annual show also supports projects such as school landscaping, related educational programs, community gardens, and more. Notable projects that received financial support from the Colorado Garden & Home Show include the Historic Rose Garden, the Betty Ford Alpine Gardens in Vail, the Hudson Gardens in Littleton, Western Colorado Botanical Society’s “Weddle Native Colorado Garden” in Grand Junction, and a variety of projects at The Denver Botanic Gardens. 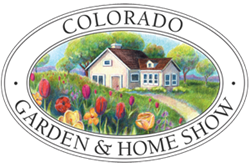 The Colorado Garden and Home Show continues February 13th through the February 21st. Stop by the Performance Mobility booth to check out the BraunAbility MXV built on the 2015 Ford Explorer. Look forward to seeing you there! About Performance Mobility: Performance Mobility provides sales, service and rental of wheelchair accessible vans, scooter and wheelchair lifts, hand controls and other adaptive driving equipment. Performance Mobility is committed to serving the community with exceptional customer service and the highest quality, safest products available for transporting individuals with limited mobility. Performance Mobility serves Arizona, Utah, Colorado, Wyoming, Oregon and Washington states.